Yesterday while my oldest was in school I had a fun day in with my boys. It was the first snow of the year and it is tradition to bake cookies the first time it snows. We baked up some yummy snickerdoodles. This was the first time Philly really participated in the baking process and it was so fun to watch his face when he held the electric mixer. 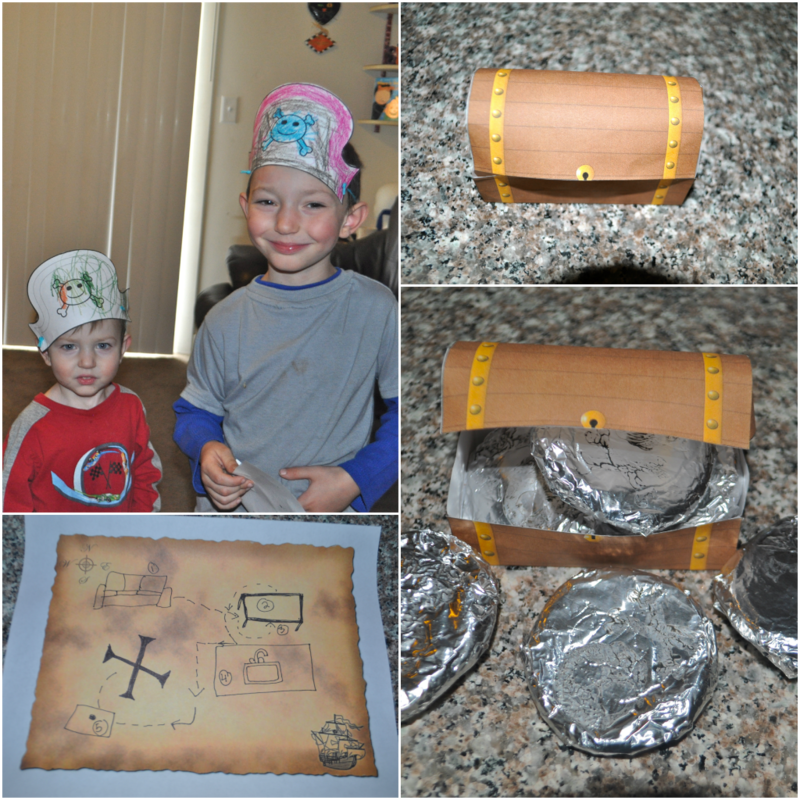 While the cookies were baking I printed out some pirate flag coloring pages for the boys to color. They have both been in a major pirate phase thanks to Jake and the Neverland Pirates. When they finished coloring their flags we taped them to "Bucky" (the climb and slide). I also printed some cute pirate hats from the Nick Jr. website. After the first batch of cookies cooled I decided to wrap them in tin foil to look like doubloons. From here the idea for a pirate treasure hunt evolved. 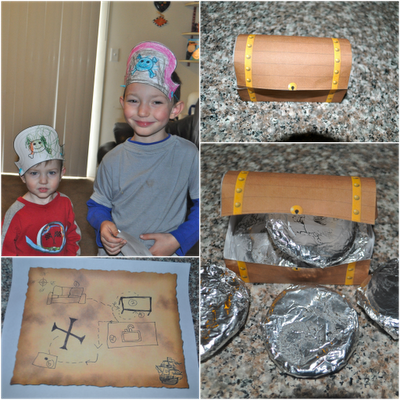 I found a printable treasure chest from Missie Krissie and a blank treasure map on 2020Site. 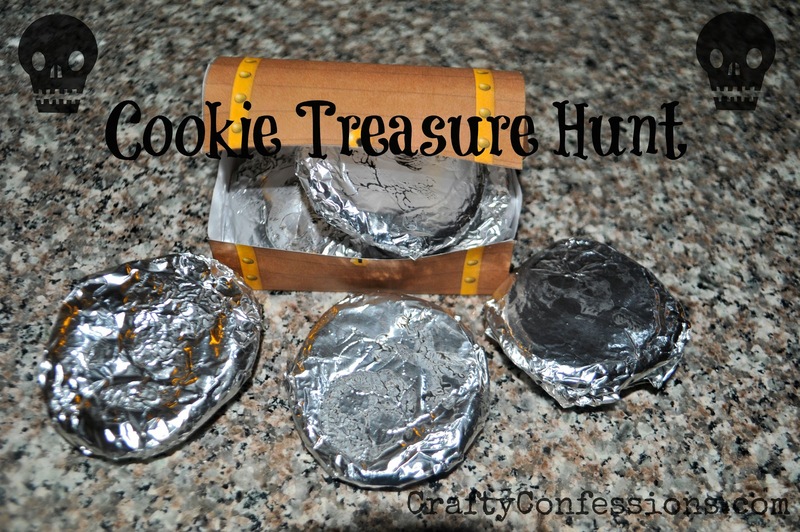 In just a few minutes the treasure hunt was ready to go! We all had so much fun and made some great "first snow" memories. I love when fun activities with the kids just come together. The best part was that it didn't cost a dime. Do you have any "first snow" traditions?